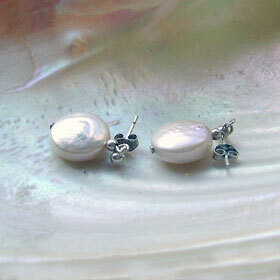 The pretty creamy white coin pearls used to create these earrings easily light up your face. Simple elegance! 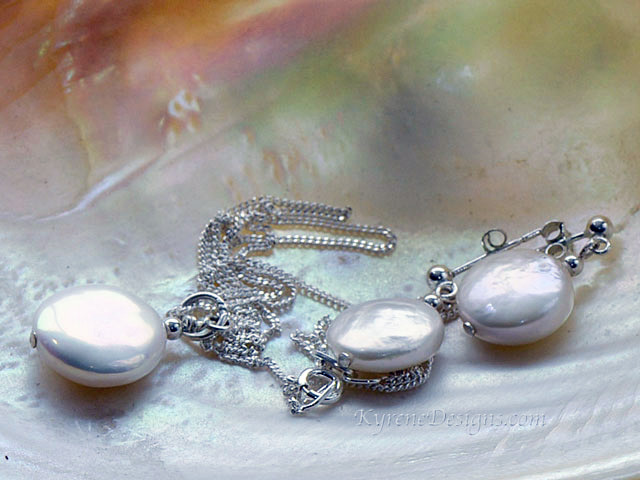 Why not team with the Grace pearl pendant for an elegant gift set, or for your wedding jewellery? Length: 25mm overall. Pearl 12mm. You will receive similar pearls. On sterling silver posts. Photo shows earrings and necklace. Options: contact sales@kyrenedesigns.com to swap to hooks, silver-plated clips, or hypoallergenic hooks.